The dramatic and well–chronicled crisis of 2007/2008 marked a watershed moment for all stakeholders in global capital markets. In the aftermath, financial markets have become even more tightly coupled as correlations in returns across multiple asset classes have been at historically elevated levels. Investors and fund managers are subject to the risk of severe wealth destruction. The ultimate hazard, which is understated and not adequately characterised by the widely touted notion of tail risk, is the systemic risk which arises when liquidity in markets completely evaporates. Legacy modeling tools for asset allocation have failed to keep apace with the changing financial landscape since 2008. In addition to a decline in the quality of market liquidity, in part epitomised by the prevalence of algorithmic churn, a new paradigm of risk on/risk off asset allocation has emerged. Increasingly it is necessary to go to next generation concepts and tools to manage risk and this will entail using unorthodox strategies to minimise drawdowns. In general terms, investors need to undertake more diligent research into how asset class correlations perform under stress, and recognise that markets are far more likely to seriously misbehave than conventional risk management tools suggest. Insights from such stress analysis make it possible to determine how to combine assets which are more capable of absorbing shocks in a crisis, while at the same time still proving an attractive upside when markets are not under stress. 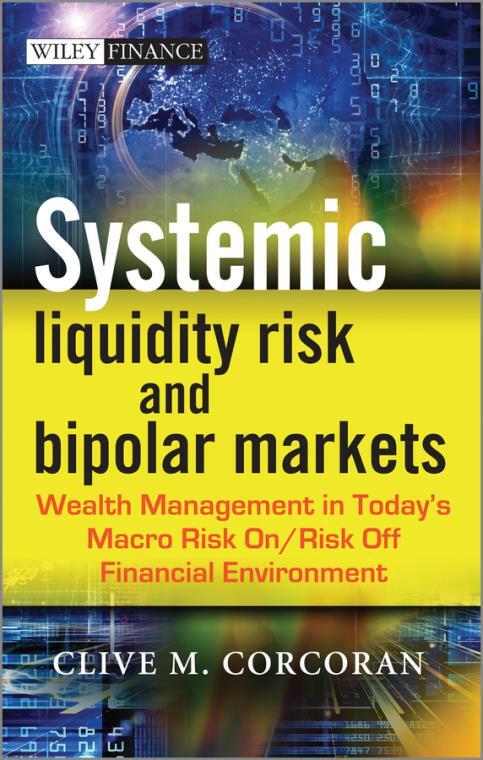 Systemic Liquidity Risk and Bipolar Markets delivers practical risk management tools and tactics alongside a provocative and cogent narrative to provide investors with a coherent explanation of the post global financial crisis environment. The book begins with an introduction to Systemic Liquidity Risk and goes on to discuss its relevance in today s financial markets. Asset Correlations, The Flash Crash, the Eurozone Crisis and Tail Risk Management are just some of the topics covered in chapters relating to all of the current issues faced by investors today. Written by a respected authority on risk reduction and market–neutral investment strategies, the key objective of the book is to provide both a better understanding of the new characteristics and risks that are in evidence in today s markets, and to offer practical steps to avoid the kind of value destruction experienced when markets crash.